Arakan is the North-western region of the Union of Burma. It is a narrow mountainous strip of land with 360 miles costal belt from the Bay of Bengal. It covers an area of about 20, 000 sq. miles. It is now reduced to 14,200 sq. miles. Arakan is only Muslims majority region among the 14 regions of Burma. The word Arakan is definitely of Arabic or Persian origin having the same meaning in both these languages. It is the corruption of the word Al-Rukun. There exists some controversy about the origin of the name of ‘Arakan’ on which traditional and legendary sources differ. In fact, the name of Arakan is much antiquity. In Ptolemy’s Geografia (150 AD) a country named “Argyre”. 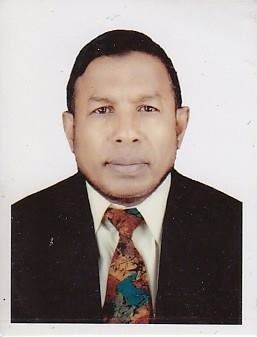 Sir Yule wants to identify with Arakan the name being supposed to be derived from silver mines existing there. Sir Yule assumption is supported by Mc Cridle and D.G.E Hall. Early Buddhist missionaries called Arakan as ‘Rekkha Pura’. In the Arnanda Chandra inscription of 8th century at Shitthaung pagoda the name of Arakan was engraved as “Arekades’a”. It is worth mentioning that, the name of Bengal was engraved as “Vangalades’a” in Bajendra Cola’s Trimulai inscription of 11th century, which is also an inscription of Chandra family of East Bengal.In the inscription of Pagan dated 1299 AD, was “Rakhuin”. In the work of Rashidudin (c.1310 AD), the Arab geographer, it appears as ‘Rahan’. Venetian Nicolo di Conti (1420-1430) wrote the name of the country “Rachani” and Sidhelobi, a Turkish navigator belong to the middle of 16th century writes it “Rakanj”. In the map of “Magni Mongolis Imperium” (The great Mughul Empire), drawn in 1650, which is the earliest maps of the Indian region, it was being shown as “Aracam”. In Ain-i-Akbari of Abul Fazal (1551-1602) mentioned Arakan as “Arkhang”. In the Baharistan-i-Ghaibi, Mirza Nathan mentioned the people as “Rakangi” while the name of the county as “Arkhang”. In the Fathiyya-i- Ibriyya, Shahabuddin Talish also consistently spelled the name of the country as “Rakhang”. In a Latin Geography (1597 AD) by Peta Vino, the country was referred to as ‘Aracan’. In English version of Van Linschtoen’s Map of 1598 AD, it is “Aracan”. Friar Manrique (1628-43 AD) mentions the country as ‘Aracan’.The British Traveler, Relph Fitch (1586 AD) referred the name of Arakan as “Rocon”. In the Rennell’s map (17771 AD) it is “Rawssawn”. Hindus in his map (1612 A.D.), has been induced to make the country name “Aracam” To the Medieval Portuguese and other European travelers and chroniclers, it is ‘Rocan’, ‘Rakan’, ‘Arracam, ‘Aracao’, ‘Orrakam’. The Portuguese traveler Barros in 1516 AD is said to be first man who referred ‘Aracan’ which is the nearest to the modern name, in his Decadar. But according to Professor S.H. Hodivala, the modern form Arakan is said to be derived from the Arabic word “Al-Rakhang”. According to eminent numismatists like Lanepole, Rodgers and Wright, Bengal king Sultan Muhammad Khan Sur struck coins bearing the date 962 A.H.(1554 AD) styling himself Sultan Shamshuddin Muhammad Shah Ghazi, the name of mint is read as “Arakan”. A few of these coins are preserved in the London British Museum. One coin of Shams al Din Muhammad Shah Ghazi (SI.199), is also preserved in the Indian Museum, bears a date of 962 AH and mint name of ‘Arakan’. The coin is similar to those published by Marsden, Lanepole and Wright. In Tripura Chronicle Rajmala mentions the name of Arakan as ‘Roshang’. In the medieval works of the poets of Arakan and Chittagong, like Quazi Daulat, Mardan, Shamser Ali, Quraishi Magan, Alaol, Ainuddin, Abdul Ghani and others, they frequently referred to Arakan as ‘Roshang’, ‘Roshanga’, ‘Roshango Shar’, and ‘Roshango Des’. Famous European traveler Francis Buchanam (1762-1829 AD) in his accounts mentioned Arakan as ‘‚Reng, Roung, Rossawn, Russawn, Rung‛. In one of his accounts, “A Comparative Vocabulary of some of the languages spoken in the Burman Empire” it was stated that, ‚ the native Mugs of Arakan called themselves ‘Yakin’, which name is also commonly given to them by the Burmese. By the people of Pegu are named ‘Taling’. By the Bengal Hindus, at least by such of them as have been settled in Arakan, the country is called ‘Rossawn’. from whence, I suppose , Mr. Rennell has been induced to make a country named “Rossawn” occupy part of his map, not conceiving that it would be Arakan , kingdom of Mugs, as we often called it. The Mahammedans who have long settled at Arakan call the country ‘Rovingaw’ and called themselves ‘Rohinga’ or native of Arakan. The Persians called it ‘Rekon.‛ The Chakmas and Saks of 18th century called it ‘Roang’. Muslims and Mugs of some parts of southern Chittagong, who are descendent of Arakan origin, are called ‘Rohang Muslim’ and ‘Rohang Magh’ by the Chittagonian. Today, the Muslims of Arakan call the country “Rohang” or “Arakan” and call themselves “Rohingya”, or native Rohang. The Mugs call themselves “Rakine” and call the country “Rakhine Prey” or country of Rakhine. Sir H. Yule, in the Proceedings f the Royal Geographical Society (Nov. 1882)also Phayre, Arthur BP. History of Burma, London (1884)P.24. Mc Crindle , India as described by Megasthenes and Arrian , P. 162, Hall DGE, A Study of South East Asia, London (1968) P.141. Habibullah ABM,A note on ‘Could Muhammad Shah Sur conquer Arakan’, JBSB (1951) PP-13-14. PL Paul, The Early History of India, Vol. I, P.133, Epigraphia India Vol. IX P.229. Willem Van Schendel, Froncis Buchanan, In South East Bengal,Dhaka. (1992) P. 104, 108.